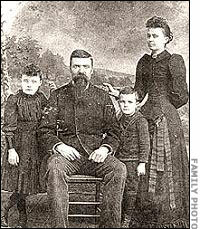 Found by karen lloyd online this artical show's not only the history but the unexplained hauntings in the house. 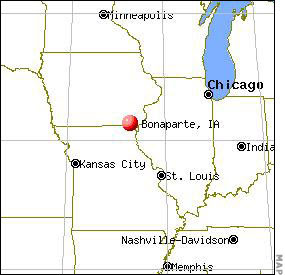 In southeastern Iowa near the town of Bonaparte, five members of the affluent Bentler Family were slaughtered in their home on October 14, 2006. Fourteen-year-old Shayne Bentler had called 911 shortly after 3:30 in the morning, afraid that her brother "was going to do something." Before she could explain, a gunshot sounded in the background and someone screamed, "Shawn, no!" After that, Shayne said nothing more.The line was dead. At the same time, Shayne's sister, Sheena, 17, had called 911 from her cell phone, but she apparently died before it was answered. When the dispatcher attempted to return the call, no one picked up. Sandra had already died with the rest of her family. Dose this remind you of something? its got Amityville writen all over it. On October 17, Shawn was charged with five counts of first-degree murder.Said to be agitated and shaking uncontrollably after his arrest, he seemed anything but a typical mass murderer.His bond was set at $2.5 million, cash only, and he was considered a danger to others. His reason for the rampage remained unspoken, as he avoided eye contact with relatives who sat in the courtroom, weeping or shaking their heads over the sudden inexplicable tragedy. Stress could have been an influence, as Shawn made little money and had fallen behind in child support payments, but people who knew him said that he never seemed to be tense or angry, as one might expect from a mass killer. Perhaps he will eventually reveal his motive, but a family massacre of this magnitude is not often seen in rural areas of Iowa. However, across the state, such an incident occurred in 1912 that became one of the most sensational stories of that decade. 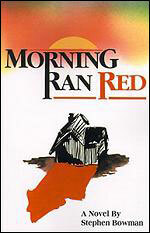 The most prominent sources of information are a recent DVD, Villisca: Living with a Mystery that features interviews with people who remember it, Roy Marshall's comprehensive book, Villisca, as well as Steven Bowman's novel, Morning Ran Red, for which he extensively researched the events. It seems that everyone who studies the tale comes out with a different theory as to who perpetrated this horrible as-yet-unsolved crime. It started with a neighbor. 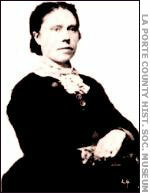 Mary Peckham lived with her husband next door to the J. B. Moore family. On Monday, June 10, she'd already been out and about since 4:00 A.M., doing her laundry and hanging it on the line to dry before the day became fiercely hot. But her neighbor's home, usually noisy from their four young children, was deathly silent. The window curtains were drawn and it seemed that no chores were being done. That was out of character, especially since J.B. (also Joe or Josiah in some accounts) generally left the place early to go to work and the livestock needed attention. She wondered if members of the family were ill. Yet she'd just seen them all the night before, around eight in the evening. They'd all gone to the Presbyterian Church for a special children's event. Puzzled, Mary went to the door and knocked. No one answered. When she tried the door, she found that it had been locked from inside an odd behavior for their safe neighborhood. People didn't lock doors around there. Uncertain what to do, Mary went home to do a few more chores and think about this strange state of affairs. She finally contacted J. B. 's brother, Ross Moore. He made a few calls. J.B's associates at the drugstore he managed had not seen him. An employee was still awaiting instructions for the day. Now Ross was worried, so he went to the house. When he checked the livestock and saw that they'd been fed, so he relaxed until he learned from Mary that J.B. had not fed them himself, nor had any of the children. She'd persuaded an acquaintance to do it. Ross knew it was time to enter, but to him, the silent house looked ominous. It seemed impossible that no one had yet come out the entire morning. He went around to a bedroom window to see if he could find someone inside to let him in, but the curtains were closed. He rapped and listened, but got no response. Next, he tried the doors. Front and back were both locked, and it wasn't like this family to do that. He knocked but didn't really expect an answer. Since he had his own key, he let himself in. Mary Peckham, eaten up with curiosity now, followed him as far as the entryway. There were three rooms on the ground floor: a parlor, a kitchen and a bedroom. Ross called out to J.B. and then Sarah, and finally steeled himself to then walk through the kitchen. There was no sign that a meal had been prepared that day, although a plate sat out in the open. Crossing the dark and silent parlor, he opened the door to the bedroom. He was there but a moment before he rushed back and shouted for Mary to get the sheriff. 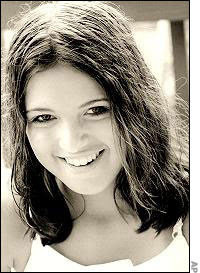 The person she called was John Henry "Hank" Horton, 50, the town's primary peace officer. He'd been in this position fulltime for the past year. During those days, only large cities had police forces, and they were generally poorly organized. Peace officers had little to no training in processing a crime scene, so solving major crimes was not within their scope of employment. In fact, fingerprints had only just been used in the courts. In 1911, an appeal had come before the Illinois Supreme Court from a trial concerning the murder of Clarence Hiller in his home. There were no eyewitnesses, but Thomas Jennings was apprehended with a revolver and blood-stained clothing, so he was arrested and tried. The cartridges from his revolver were identical to unused cartridges found in Hiller's residence. In addition, four fingerprints had been found in fresh paint on a fence near the window through which the intruder had entered and four experts had testified that Jennings had made them. It was a new form of identification, but these men were able to point to cases in other countries where fingerprint analysis had assisted in a criminal apprehension. The jury accepted the expert opinion and convicted Jennings, sentencing him to hang. His attorney appealed the decision on the basis of the questionable admissibility of fingerprint evidence.The appellate court noted that fingerprints had already been admitted in Great Britain and that the relevant experts had concluded that the evidence was reliable. In a historic decision, the justices ruled that there was a scientific basis for the system of fingerprint identification. Thus, the sentence stood and Jennings was hanged. However, in Iowa, few people if any were even aware of these developments. Indeed, the notion of preserving a crime scene seemed lost altogether as Horton entered the house. He did not take care to avoid trampling evidence on the floor. Instead, he went straight to the door that Ross Moore had opened that had sent him fleeing from the house. Noting the dark interior and drawn curtains, Horton, too, saw what Moore had seen: dark stains spattering the walls and two still forms beneath bed sheets that had been pulled all the way up, with only a pale arm extended from beneath. Horton knew what death smelled like, and that's what faced him. He moved closer, striking a match, and saw that the white sheets were heavily stained with blood. In the rising June heat, they were beginning to smell rancid. Against the wall rested a long-handled ax with dark stains on it, and Horton noted one more odd detail: Dark material that appeared to be torn clothing covered the mirror. He steeled himself to climb the steps to see who might be up there. He had little doubt from the fact that no one in the family had been seen that there would be more victims. Yet he'd already lost control of the scene. Two other men, one of them J.B.'s other brother, Harvey, had entered the house as well. "Something Terrible has Happened Here"
But this scene made little sense to Horton. The Moores had four children, and he now had eight bodies, so who were the two downstairs? He had to go back down to try to identify them and alert their parents. He planned to do this in the company of the town's surgeon, Dr. J. Clark Cooper. But before fetching the physician, he went outside and told the small group of worried people gathered near the porch not to let anyone into the house. Horton realized he had a case that would make headlines around the country. 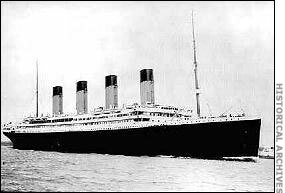 Mass deaths, such as what had just happened on April 14 with the sinking of the Titanic and the loss of more than 1500 lives, were always big news. Ax murders were not uncommon, since it was one of the few lethal implements that could be used silently, but the slaughter of an entire family was certainly rare eight all at once! How had this perpetrator subdued them all? Had he had accomplices? And what could be his motive for such a bloody deed? Horton had his hands more than full and he knew it. In a small town where nothing much happens, and where a murder of almost supernatural proportions occurs, people start talking. When the victims are well-known and much-liked, as Sarah, J.B. and their children were, a lot of people will gawk and learn all the gossip they can. Add one more element: the Moores were an affluent family with a wide circle of acquaintances and associates. The phone operators who overheard the early phone calls passed along a few details themselves to their own acquaintances. But there was another family involved as well. The Stillingers, successful farmers with renown in horticulture, had allowed their daughters, Lena, who was twelve, and Ina, who was eight, to spend the night at the Moore's home after the children's program. J.B. himself had called to ask. Yet when the girls did not return in the morning, the family grew concerned. They called the Moore home but received no answer. Calling again, they learned from a telephone operator, according to Marshall, that "everyone in that house is dead." It must have been an utter shock. How could one even believe such news? Dr. Cooper accompanied Horton to the house as fast as he could. He knew from Horton that bloodhounds, some county officials, and a private detective were on the way, but for the moment, the onus of identification was on them. The county coroner, Dr. A. L. Linquist (sometimes spelled Lindquist), also arrived to oversee how the victims were identified. The place seemed to him to be in total chaos, but he went in to do what he could. In the downstairs bedroom, the sheets were carefully lifted from the murdered victims. Oddly, an item of clothing had been placed over the face of one a gray coat like a boy would wear. Their skulls and faces were so smashed into bone, hair and brain matter that no one in the party recognized who they were.The younger girl, approximately 7 or 8, lay nearest the wall, and seemed relatively undisturbed. The physicians agreed that she'd likely died from the first blow, and the others had been delivered after, possibly to ensure her death. The other child appeared to have been molested, or at least sexually posed. Her nightgown was up and she wore no underwear. One arm was over her head, under the pillow, and one leg was splayed outward. She appeared to have been turned over slightly to the right after she'd been bludgeoned, as the line of blood had dripped onto the bed before her hand had gone into that position. Her right knee bore a bloodstain as well, though there were no wounds to her legs or lower torso. Perhaps she'd felt the blow, struggled, and was dispatched only after she'd been hit again. The physicians and coroner accompanied Horton up the creaky wooden stairs to see the rest of the massacre. They confirmed that all six victims had died from a similar style of bludgeoning, and since only the one ax had been found, it seemed that the killer had used the same implement on all of them. He'd apparently used the dull side of the ax head to stun them, getting the blade stuck in the ceiling in several places, and then used its sharp edge to complete the work of death and mutilation. Blood spots on the ceiling appeared to be cast-off from the killer swinging the ax back to make another telling blow. The person who had suffered the most was J.B. He'd apparently been struck repeatedly, in a form of overkill that indicated either rage or fear that the only adult male in the house could not be easily dispatched. J. B. was on his back, with his left hand lying over his chest. His face had been cut so often the eyes were gone.The way he'd been brutalized would inspire speculation about enemies he may have had, business rivals, or disgruntled employees. As for the children, on one cot lay a boy on his stomach, who'd taken the fierce blows to the back of his skull. The killer had then placed a gauze undershirt over the open wound, as if to soak up the blood. Not far from this victim was a little girl, her face bashed in and a blood-spattered dress lying partly on her head. The sheet was pulled up over her head as well. Strangely, the coroner found a piece of a keychain and a four-pound slab of raw bacon (some sources say two pounds), wrapped in a cloth and lying on the floor in the downstairs bedroom, near the ax. Another piece, nearly the same size, was in the icebox in the kitchen, where both the inside and outside doors had been locked. On a table stood a bowl containing bloody water and a plate of food, prepared but not consumed. The only other potential pieces of physical evidence were the ripped clothing covering a glass and several mirrors, the glass chimney of a lamp lying under a dresser, and a heel mark on a magazine lying on a closet floor. Also, Sarah's blood-filled shoe was on J.B.'s side of the bed, as if picked up and moved. Dr. Linquist assumed that blood had pooled and dripped into it from J.B's considerable head wound, and it was then tipped over. The ax, too, had been wiped off, as there were cloth fibers on it, and the killer had cleaned off his hands on several items. The house was not the only place that yielded data. The investigating party went outside to the barn to see if the killer might have gone there. Linquist wrote that he found a depression in some hay that was about the size and shape of a man who might have been lying in it. To Linquist's mind, it looked recent. In fact, it appeared that a two-inch knothole had been utilized as a way to spy, because it was near where the shape of a head had been and it afforded a view of the rear of the house. Sheriff Oren Jackson arrived to help Horton make sense of the scene, aware that the killer had a head start, but not much of one. He, too, had little experience in processing crime scenes.One murder would have challenged him, but eight all at once was beyond the skills of the two of these officers combined. To be sure, detectives would arrive, some of them seeking fame, but no one was there in the early hours of that first crucial day. To make matters worse, the curious had flocked to the house and gone inside, despite orders to keep them out. It wasn't much different from what had happened four years earlier in Indiana when several bodies were pulled from the ground on Belle Gunness's pig farm. People had brought their picnic lunches and been allowed to line up and go through the makeshift morgue in the pig shed, and savvy entrepreneurs had sold souvenirs from the property. The bloodhound handler arrived late that evening with the pair of dogs from Beatrice, Nebraska, but so many people had been in the house and handled items like the suspected murder weapon that it was probably impossible for the hounds to get a scent. They did sniff with interest along a trail that led through town to the nearby river, but they lost it there and couldn't pick anything up on the other side. It seemed the killer, if that's who they were following, had decided to walk through the water, getting out who-knows-where. This disappointed the numerous reporters who had converged on the town that day to pick up details. The same was true of another development.Officials requested federal assistance, which brought M.W. McClaughry, whose title, says Marshall, was Special Agent in Charge of the Department of Justice, Bureau of Criminal identification.One of the country's few experts in fingerprints, he hoped to thoroughly process the house. Unfortunately, with so many people handling the evidence, he was unable to lift any clear prints. It's probably no surprise that during this same week, Mrs. Stillinger gave birth to a stillborn child. The stress of having two children murdered so brutally may well have had an effect. Not long afterward, the Stillinger's home burned down. As the caskets were brought from the fire house and lined up in the town park in preparation for burial in the cemetery, the authorities put their heads together to review what they knew about the victims a logical starting point. J.B. and his wife, Sarah, were well-liked in the community, active in their church, and helpful to neighbors. They'd been married since 1899 and had four children, ages 5 to 11, three boys and a girl. Sarah had coordinated the Children's Day Program at church, which had gone until 9:30 on Sunday evening, at which time she and J.B. had gathered their children and the Stillinger girls. They all walked home, laughing and waving to acquaintances as they went, although it was unusually dark; the streetlights had not come on that night, as if to foreshadow the evil that crept into town. Some time between midnight and five o'clock in the morning, the slaughter took place, probably earlier rather than later. The ax, it turned out, had belonged to J.B., identified by his brother, so whoever had grabbed it had been in one of the outbuildings. Although bloody, the killer had made some effort to clean it before leaning it against the wall where it was found. Apparently this grim reaper had lighted his way, but just barely, with a kerosene lamp, found at the foot of the bed where J.B. and Sarah had been killed. Its glass chimney had been removed and placed under a dresser. 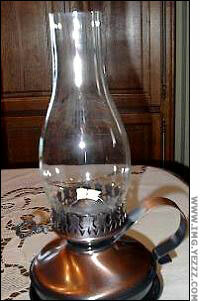 Another such lamp was in the ground floor bedroom, also with the wick turned down. This intruder clearly wanted no one to see lights on in the house, so he knew what he was doing and appeared to have control over the scene. Yet he had to have made a considerable amount of noise as he cracked skulls and jabbed the ax into ceilings, as well as when climbing the stairs. It was a mystery how he could have gone about his business, waking no one.It seemed that, except for Lena, they all lay still, killed in their sleep. Since he'd covered most of the victim's heads or faces, there was reason to believe that he might have been acquainted with them, or that he believed if they opened their eyes and saw him, his visage might be impressed in the retina and thus detectable at autopsy. That was a common superstition for the period. A few have speculated that this offender was filled with regret for what he'd done, and if his central target had been J.B., with the rest unfortunate collateral, this could very well have been the case. He then drew the curtains, possibly after he'd disabled everyone and before he went back to use the ax blade on them all, or possibly when it was all over (although they did not have blood on them). Those windows without curtains he blacked out with clothing found inside the house. An unexplained piece of this puzzle was the skirt he had torn and draped over several mirrors. Perhaps it was a ritual, perhaps a reflex, perhaps superstition. In some cultures, mirrors were covered during sleep or illness so that the soul, which might wander, would not become trapped. After a death, mirrors were also covered or turned to face the wall as a way to prevent the deceased's soul from becoming caught in the mirror, delaying its journey to the afterlife, as well as to prevent the living from having their souls trapped in the mirror when in the presence of the dead. Some Eastern Europeans believed it was bad luck. Yet without some details about the suspect, no one really knew what his motive could have been. Indeed, the bacon, too, puzzled everyone, and a few people surmised that the entire incident was a sexual crime, with the bacon serving as a masturbatory aid. 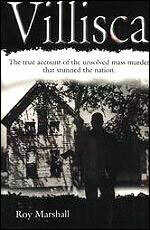 The narrator on the Villisca DVD suggests that criminologists today agree, although none was named. Whatever the case, officials now had to narrow down the pool of possible suspects. Given the degree of overkill evident in this crime, an obvious suspect would have been someone holding a grudge. That seemed to describe a business rival, Frank Jones, for whom J.B. had worked for nine years. After a bitter parting, J.B. had started his own implements store, taking away some of Jones's larger customers, including as the John Deer Plow franchise. Jones had become a politician and had served in both the House of Representatives and state Senate; he'd also founded the Villisca National Bank. Thus, he was in a position of prestige and control, and some citizens described him as arrogant. In addition to his possible anger over the professional betrayal, there were rumors that J.B. had had an affair with Jones's daughter-in-law. Jones might not have committed the murders himself, but with this considerable wealth, may have hired someone to do it perhaps a cocaine addict and alleged serial killer named William Mansfield. One detective accused Jones openly of this very act, dogging him in the hope of getting a confession. Jones denied having anything to do with it. Given the potential that the killer had been watching the house from a hiding spot, such behavior seemed less that of a successful businessman and more that of a stalker. Perhaps someone had been in love from afar, in a perverted way, with Sarah, and had finally been unable to control the urge to kill those she loved, along with her. It was unlikely to be a stalker of 12-year-old Lena, or even an impulsive molestation, since in that case the surveillance would have been on the Stillinger home. There were many rumors about who the culprit was, including information viewed in tea leaves and the vision offered by Mrs. Hamilton, a self-proclaimed psychic in a nearby town. She "saw" a large man with a dark mustache and a hat. She said he'd turn himself in and also indicated, erroneously, that the murder weapon was near another building. More interesting as a suspect was a mentally unstable preacher who became obsessed with the killings and supposedly confessed, but that was some years down the road. In addition, over the years, men who appeared to be serial killers have been offered as suspects. Indeed, there was a documented trail of ax murders at that time across the Midwest. Let's examine these possibilities more closely. By Tuesday, June 11, when it seemed unlikely that a local man was connected to the slaughter, authorities considered the possibility that the murders had been committed by a stranger, a roving maniac, who'd committed similar crimes. 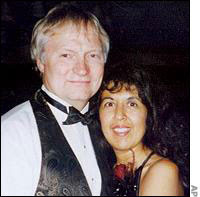 In fact, just nine months earlier, there had been several ax murders nearly seven hundred miles away in Colorado Springs, CO. 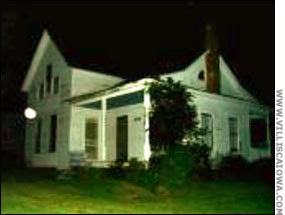 The first had also occurred on a Sunday night September 17, 1911 and three people died in the home of H. C. Wayne. Apparently, that was not enough for this fiend, because the family next door suffered the same fate as they slept.The killer entered the home of Mrs. A.J. Burns who had two children, and all were slaughtered with an ax. All six victims had suffered ax blows to the head. Sunday night, two weeks later, but far away in Monmouth, Illinois, an intruder took what appeared to be an ax to William Dawson and his wife and daughter. Then in Kansas, on October 15 and June 5 this one just a week before Villisca two more families met an untimely fate. In Ellsworth, there were five victims: the entire William Showman family, while in Paola, Roland Hudson and his wife were bludgeoned. The pick-ax used had been left behind in another building. Some analysts said that the crimes had key similarities, such as the MO and time of the crime, and that pointed to a single killer, while others said that they had key differences. 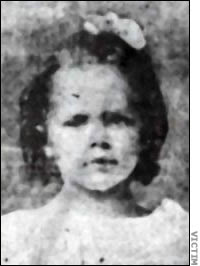 While commentators today indicate that the concept of a serial killer was not well-known, so linkage analysis was not developed, in fact, America had been through a number of cases of serial murder, including the aforementioned pig farmer, Belle Gunness, in Indiana in 1908. She had claimed more than a dozen victims over the years. 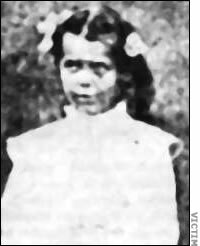 In addition to her, H. H. Holmes in Chicago had been suspected in more then 100 murders, and even before him, in Austin, Texas in 1885, the Servant Girl Annihilator had murdered five women in the course of a year. On Joseph Briggen's California ranch, also a pig enterprise, the bones of twelve men had been found. In addition, numerous poisoners had killed a string of victims, and there were several series of unsolved murders in at least five states, aside from those under consideration for association with Villisca. Authorities most certainly realized that men and women alike could indulge in repetitive murder, although it was much harder to link those occurring in separate jurisdictions. 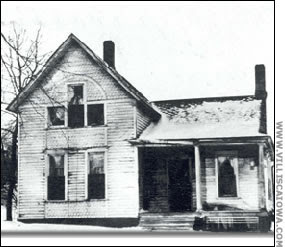 Three months after the Villisca slaughter, back in Quincy, Illinois, Charles Pfanschmidt, his wife, daughter, and guest were murdered.The house was set on fire, but the bodies were discovered and it was clear that they'd been killed in their sleep with an ax. 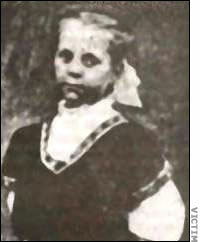 Although it appeared that the son of the couple, living away but expecting a considerable inheritance, was the culprit, rumors abounded that this incident was another that should be attributed to the Midwest ax killer.Yet the son was convicted.It wasn't the only family massacre to be linked to Villisca that year. 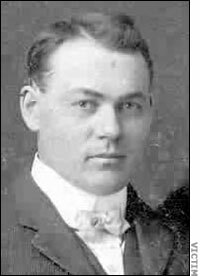 In December 1912, six months after the Villisca event, Henry Moore (no relation) was arrested, prosecuted, and convicted of the murders of his wife and maternal grandmother in Columbia, Missouri. In that incident, he'd used an ax. Federal Agent McClaughry's father, Major R.W. 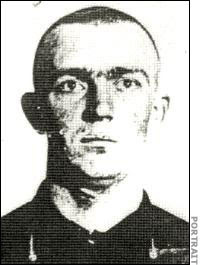 McClaughry, who was the warden at the federal penitentiary at Leavenworth, informed his son about the incident. The man had been an ornery drifter, prone to episodes of anger, so he might be considered a suspect in the Iowa massacre. Indeed, by some accounts, he'd spent a year in Leavenworth at an earlier time for a petty crime; since his fingerprints were on file there, he might know to wear gloves in any future crimes. 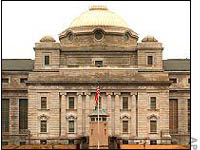 McClaughry agreed with the possibility that Moore was connected, but took the case even further. He was aware of the other unsolved Midwestern ax murders over the past two years in five different states, so he examined the information from all of them. He also interviewed Moore in prison in Missouri and decided that he was indeed responsible for twenty-three murders at least! In May 1913, McClaughry announced that he had solved these homicides. However, no one else followed up and Moore was never prosecuted for any of them. In the meantime, some Villiscans continued to pursue other angles. Let's return to another suspected serial killer, this one apparently employed specifically to carry out the deed. 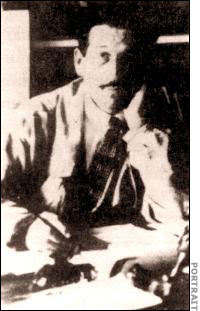 The man whom Frank Jones had supposedly hired to commit the crime, William Mansfield, was associated with another episode of killing with an ax. Two years after the Moores were killed in their beds, Mansfield became a suspect in the ax murders of members of his own family his wife, child and in-laws. 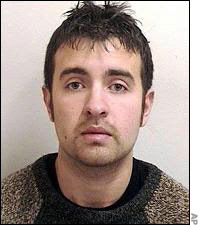 In addition, he was a suspect in some of the murders that McClaughry had attributed to Henry Moore. All of the victims had been killed with an ax and inside the homes, the mirrors had been covered. In one or two, the chimney of a lamp had been removed, like in the Moore home, and in one place, a wash basin was filled with bloody water. One private eye, James Newton Wilkerson, said he could prove that Mansfield had been in the right place at the right time to be the common element in them all. Mansfield was also a convict, having served time in Leavenworth for desertion. Supposedly, he was seen boarding a train out of a town near Villisca early in the morning of June 10. Nothing much happened aside from rampant rumors during the first few years after the massacre, but by 1916, suspicion was so strong that Mansfield was arrested and brought before a grand jury. Then payroll records were produced to prove that he'd been in Illinois at the time of the Villisca murders, he was released. 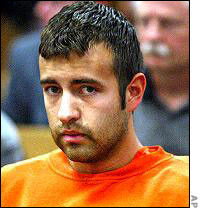 Another suspect in several repeat ax murders was Andy Sawyer. He was seen around six o'clock in the morning of June 10, wearing shoes caked in mud and trousers wet to the knee, as if he'd been wading (perhaps in the river?). He showed a great deal of interest in news accounts of the crime, and he wondered out loud whether the killer had been apprehended. He feared that he might become a suspect, and he appeared to know just how the killer had escaped town without being noticed. He even took an ax to bed with him, for protection, and he was reputed to be quite skilled with the implement. However, he'd been in another town the night before the murders, so it seemed that he couldn't have gotten to Villisca in time, and thus, no one launched a formal investigation. But they did go after a strange fellow who'd drawn a great deal of attention to himself back in June 1912. 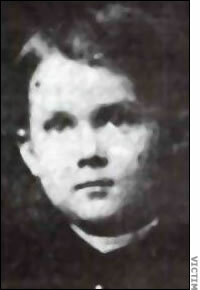 The Reverend Lyn George J. Kelly, at just over five feet and weighing about 115, was a scrawny and excitable traveling preacher from Macedonia, Iowa, not far from Villisca.He'd come into town on Saturday, June 8 and the following day had been in attendance at the church where the Moore family and Stillinger girls had participated in the children's program. Yet it was clear to those who encountered him that he disliked children and was exceedingly agitated, often speaking too fast to be understood. He left town early the following morning, which made him a prime suspect (though he was scheduled to leave), but he exacerbated the situation considerably in 1917 by confessing. In addition, there was testimony that Kelly had told some people on the train on the morning of the murders that eight people had been killed in Villisca. That statement had occurred prior to 7:00 A.M., before bodies were discovered. In a letter penned by Lena Atkinson, who'd had exposure as a child to Kelly on the evening before the murders, she said, "We youngsters always heard the Minister confessed the crime on the train going to Macedonia. As we heard it, he had received a vision to follow the biblical injunction, 'Slay and slay utterly.' Whether that is in the Bible I have no idea, but we as youngsters always repeated it to each other....I do remember my parents always believed Rev. 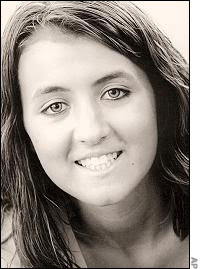 Kelly committed the Villisca Ax Murders." In addition, Kelly wrote letters to the authorities about the murders and seems to have sent a blood-stained shirt to be laundered. Since such an item was never recovered for evidence, this could have been a rumor. But in his town, Kelly was known as a Peeping Tom. In his confession, Kelly said that on the night of June 9, he'd heard the sound of windmills and went for a walk to clear his head. He was pondering a sermon about "slaying utterly," and he found himself in front of the Moore house. In a trancelike state, he found the ax, went inside, and started to kill. He claimed he killed the adults first, then heard a voice to keep going, so he bludgeoned the Moore children. Ending in the downstairs bedroom, he heard God's voice again, so he then finished off the Stillinger girls. From a crime scene analysis, authorities believed the killer was left-handed, so to get some evidence after his confession, they asked Kelly to chop some wood. He obliged, swinging it left-handed. It seemed to many involved in the case that they'd found the killer at last. However, before the trial, Kelly recanted his confession, and his attorney, W. E. Mitchell, would dismiss it in court as the result of an intense inquisition that had lasted a full night, undertaken to "shield" someone else (a statement suggestive of political connections). He claimed that after the ordeal, "Kelly was more dead than alive, more insane than sane." Kelly's trial began in September 1917, prosecuted by state Attorney General H. M. Havner, and it was to be an indirect trial of George Jones as well, since Mitchell proceeded to use the state senator as a foil: if there was evidence to suggest that he or his hired gun was the culprit, that provided reasonable doubt for Kelly's involvement. 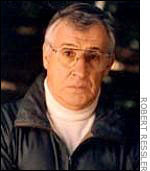 In fact, the defense had hired detective J. N. Wilkerson, the detective who firmly believed in Jones's guilt. 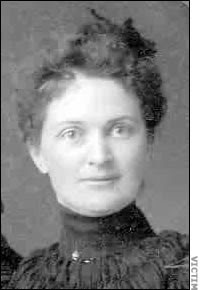 However, former Deputy W. C. McQueen, who had questioned Kelly during an arrest in South Dakota in 1914 for sending obscene materials in the mail, said that Kelly had made a similar confession at that time. So did a snitch who had shared a cell with Kelly before Kelly was sent off to a psychiatric institution. For Mitchell, the challenge was to prove that Kelly was of unsound mind and had perhaps developed such an obsession with the Villisca incident that he'd come to have delusions about himself as the killer. Apparently, he'd been known to ramble on and on about the murders, having developed this obsession after getting a tour of the home late in June of 1912. At that time, he'd imagined himself a detective and had claimed he'd received training at Scotland Yard. He hadn't. Kelly's wife testified that her husband had a weak mind and that in another incident in which he'd confessed — an arson — he'd actually been at home with her. Thus, falsely confessing was not uncharacteristic for him. Aside from the confession, a dislike of children, and the coincidence of his hand preference, there was no physical evidence that actually tied Kelly to the murders.Both sides rested and the jury went to deliberate. Since the attorneys had failed to query the jurors on their opinion about capital punishment, execution was out of the question. The result was a hung jury: they couldn't come to an agreement.Eleven men wanted to acquit Kelly and one wanted to find him not guilty by reason of insanity. He was tried a second time in November, and this time he was acquitted. However, since he'd been tried for only the murder of Lena Stillinger, it was possible to bring more charges against him until one of them stuck.But that never happened. Kelly was a free, if deeply disturbed, man. He said he was going to write a book called A Pawn in the Game, but he appears to have ended up in a psychiatric institution. Former FBI Profiler Robert Ressler is featured in the Villisca documentary discussing how he might have profiled the crime. He believed the killer was probably a powerful man in his mid-to-late thirties, and that he was likely mentally ill with a borderline type of condition but not full-blown psychosis. Ressler did not give an opinion as to which of the suspects might have been closer to his ideas, although clearly Kelly, with his diminutive size, was not. Moore appears to be a good candidate for this crime, and after he was imprisoned, the series of ax murders in the Midwest reportedly came to an end. While that's not definitive proof of his guilt, it's strongly suggestive. Since he'd been convicted of killing two people with an ax in a double homicide, it's not farfetched to see him as the most likely suspect. 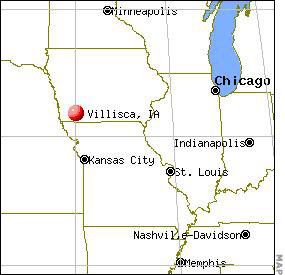 Nevertheless, if the culprit in Villisca was in fact a serial murderer, he could easily have come and gone on the trains, since the towns in which these murders occurred were near railroad tracks. In the late 1990s, another such killer crossed America in this fashion, quickly dispatching random victims. 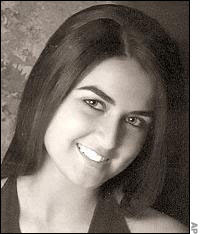 On March 23, 1997 in Ocala, Florida, nineteen-year-old Jesse Howell was bludgeoned to death and left near a railroad track. Thirty miles away, his girlfriend, raped and strangled, was found in a shallow grave. Five months later in Lexington, Kentucky, two people walking along a track were attacked, and in 1998 in Hughes Spring, Texas, eighty-one-year-old Leafie Mason was beaten to death. She had resided fifty yards from the Kansas City-Southern Rail line. Then a female physician was raped, stabbed and bludgeoned in her home in West University Place, Texas, near the tracks, while a middle-aged couple was killed with a sledgehammer in a church parsonage, also near tracks. Of four more victims in Texas killed around the same time, three lived near the railroad. 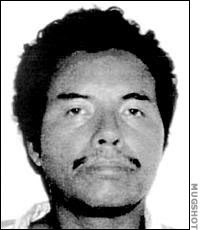 Eventually Angel Maturino Resendiz, an illegal immigrant from Mexico, was arrested. He confessed to nine murders, but the police believed he was guilty of at least five more. And in the history of serial crimes, we do have incidents of closely-related family slaughters. Let's look at two. In England in 1811, two families were slaughtered along the Ratcliffe Highway. On December 7, Timothy Marr, his wife, and apprentice were bludgeoned to death, and their throats were slashed by an unknown intruder. A constable surmised from a bloody implement left behind that the weapon had been a seaman's maul with the initials J.P. A similar incident occurred down the road over two weeks later on December 19, when a family residing at the King's Arms Inn was similarly slaughtered.The inn's owner, John Williamson, lay bludgeoned to death on the cellar stairs while the beaten bodies of his wife and the maid were in the parlor. 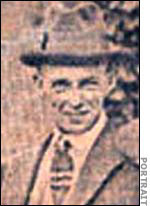 An Irish sailor, John Williams, was arrested, based on the missing maul in the trunk of his roommate, John Peterson, who'd been out to sea during the murders. Williams had no substantiated alibi and had been away from his room both times, so he was arrested. However, he committed suicide in prison before getting to trial. In Russia during the1990s Anatoly Onoprienko terrorized the Ukraine, murdering a dozen women before he turned his rage into wholesale slaughter of entire families.Then after taking what he could, he burned the home. Sometimes he scattered photographs of the family, as if the very idea of kinship enraged himperhaps because he'd been an orphan. In addition, he killed people at randoma police officer, men sitting in a car, people who merely looked at him as he fled a crime scene. His cousin alerted police, who found possessions from the victims in his girlfriend's home. Onoprienko claimed to have killed more than fifty people, insisting that "voices from above" had ordered him to kill. While there's some reason to believe that the Villisca slaughter could have been just one in a series of random ax attacks on other families, officially the case remains unsolved. Over the ninety-plus-year span since the Moore-Stillinger murders, it has gone through at least eight different owners. Some rented out the building, and it deteriorated over the years, until 1994, when Darwin and Martha Linn purchased and renovated the place to resemble how it had looked on the fateful morning of June 10, 1912. They already ran the Olson-Linn Museum, so they had a clear interest in local history. "If the Linns had not purchased it," says Taylor, "it's likely that it would have been destroyed." Even so, the original furniture was long gone, so the Linns purchased antiques to provide a semblance of the place from long ago. Now on the National Register of Historic Places, the J.B. Moore house is open for tours. Called the Villisca Ax Murder House, it draws many people interested not only in history or crime but also in the paranormal, and one can pay for an overnight tour — with the hope of having "an experience." Supposedly one can hear children's voices or banging sounds, be in the presence of falling objects, and feel a sense of someone there who can't be seen. 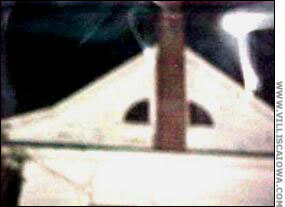 Oil lamps blow out, though there's no breeze, and many people claim to have photographic evidence of something paranormal that hovers in the air. The tours start at the Olson Linn museum on the Town Square, and the invitation drew at least one ghost hunter who documented his findings. Troy Taylor's intent when he documented the Villisca tragedy was to add a story to his collection of tales of haunted places. He'd heard the many stories about the place, from banging sounds to a guest who awoke in the night to the sound of a child's voice, although a check in the morning told him that no children had been in the house. Yet people who had lived there over the years insisted it was not haunted. Taylor went to see for himself in May 2005 when he scheduled an overnight investigation for a group, including it in So, There I was. First, they went to the cemetery where the victims had been buried, the monuments for which had been purchased from reward money that was never paid out. Seeing their graves grounded the experience in the sense of an actual tragedy. Inside the house, Taylor noted that it lacked electricity and plumbing, and described his awareness of the echoes of the successive murders. Appropriately for ghost-hunting, a thunderstorm gathered in the distance. One of the people hoping to see or hear a ghost had brought along candy as enticement for a child. A camera was set up in the children's bedroom, with a video feed to the kitchen. That night, everyone involved witnessed a phenomenon: when candy was offered in exchange for closing a specified door, the door would close on its own. "It did not slam closed," Taylor writes, "but rather seemed to just gently close, as though someone was pushing it.There was absolutely no one near it at this time." Taylor examined it for wires, a draft, a slope to the house, and any other natural or manipulated explanation. They left it standing for two hours without the sugary inducement and it did not close. Then they offered candy once again.The door closed and latched. Taylor took this as pretty fair proof that the place was haunted — or at least, that some force had been disturbed by the recent renovations. He tried everything he could think of to prove that the closing door had a reasonable explanation, but came up empty-handed. Whether one's interest is history, crime, or the possibility of a ghostly manifestation, the Moore house in Villisca apparently offers quite a lot.